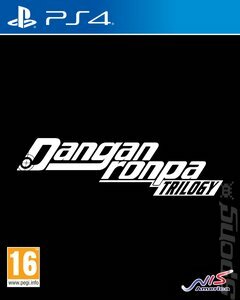 This physical collection combines Danganronpa 1 2 Reload and Danganronpa V3: Killing Harmony into the biggest killing game seen yet! Set in a psycho-cool environment, a new cast of 16 characters find themselves kidnapped and imprisoned in a school. Inside, some will kill, some will die, and some will be punished. Reimagine what you thought high-stake, fast-paced investigation was as you investigate twisted murder cases, and condemn your new friends to death. The Ultimate Students From maids to magicians, artists to astronauts, the unwilling contestants of Monokuma s killing game will have to overcome the odds, as well as each other, if they have any hope of surviving! With so many different talents, agendas, and secrets gathered in one place, this bizarre assortment of 'Ultimate' students may be the only ones who can save hope... or destroy it forever! Murder Mysteries - Engage in mind-bending logic puzzles, minigames, and verbal clashes to unveil the truth behind each murder. You may even uncover a few dark mysteries and secrets as you maneuver through Monokuma s game of death and deceit!